Tim's Tavern was founded in 1957 by Tim Triner. Originally named Jack & Tim's, Tim ventured on his own a few years later. Tim was a former professional baseball player for the Hartford Braves, the Boston Braves, and the Milwaukee Brewers in the old international league. In 1939, Tim pitched the McKinley Bulldogs to a state championship. Teammates and McKinley faithfuls continue to patronize Tim's Tavern to this day. Tim's dynamic personality and popularity built Tim's Tavern into one of the top "beer joints" around. During the early 1960s, Tim developed a "beer battered fish" recipe that was second to none! Originally, a piece of fish sold for a mere $.10 each, to go along with a $.10 draft beer. During the 1960s, Tim's Tavern's busiest days were always when Meyer's Lake Amusement Park was at its peak. Holidays with fireworks, $.10 ride days, and company picnics all drew major crowds. Black Label, Old Dutch, and Duke were the popular beers of that era. Meyer's Lake Park closed in 1974, but Tim's Tavern kept growing due to its popular "beer battered fish." Tim's Tavern built a new building in 1972, which further increased the fish craze. People would line up at the door on Fridays to have a basket of fish and a draft beer. To accommodate more people Tim would put a 4'x8' sheet of plywood over a pool table with folding wooden chairs. The fish dinners were served on paper plates with plastic forks. A "real" neighborhood bar with a friendly atmosphere. Tim's kept up with the trend, and in 1990 built a 140 seat nonsmoking dining area with a nautical theme. Sailors, lighthouse, seagulls and ships don the walls with a more relaxed atmosphere. Tim's menu was expanded to include such healthy favorites as broiled scrod, bread bowls of soup and more. 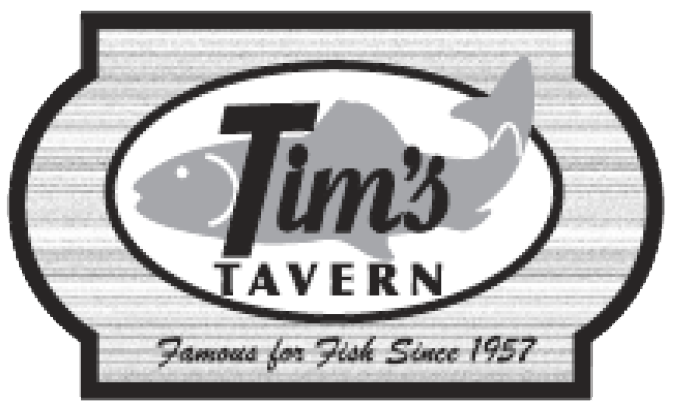 Tim's Tavern is now in its third generation of family, and serving nearly 2,000 pounds of North Atlantic cod per week! Tim's Tavern takes pride with its still neighborly and friendly atmosphere and its great service. The founder, the legend, the Tim of Tim's Tavern has passed away. His memory will most definitely be kept alive here at Tim's Tavern. He was a great man with a passionate vision to provide the community with the best beer battered fish around. He made Tim's famous for fish and was loved by so many people near and far. The Sullivan Family expresses our heartfelt condolences to the Triner family. Our thoughts and prayers are with all the Triners.